Most knew the Indiana Pacers would build off their appearance in the Eastern Conference Finals last season, but through one month they’ve blitzed their opponents for the best record in the league: 16-1. Their average margin of victory of 11.1 is best in the league thanks to their usual dominance on the defensive end — comfortably first in defensive rating and defensive EFG% – while getting improvements on offense, most notably from Paul George and Lance Stephenson. It won’t get much easier for the Pacers in the couple weeks following that road trip. Though the five games during that timespan feature four at home, they’ll play Miami twice (once on the road) and cap it off with Houston. It’s all a great test for Indiana, who trail only San Antonio in SRS thanks to playing the second-softest schedule so far, according to Basketball-Reference. There will be those who think the Pacers are good but overrated because of that, which will only amplify should they falter over the next few weeks. Just like every other team though, it’s understandable for Indiana to drop a few games during a difficult stretch, especially one that features back-to-backs on the road and a couple games against the defending champs. Meanwhile, there’s a lot of great matchups over the next few weeks for Paul George, whether it’s against Nicolas Batum, Kawhi Leonard, LeBron James, Kevin Durant, Michael Kidd-Gilchrist, or Josh Smith. And teams who don’t provide interesting matchups at the ‘3’ make up for it with their presence inside. Utah features Enes Kanter and Derrick Favors. Detroit, on the calendar for December 16, features Andre Drummond and Greg Monroe while Houston will have Dwight Howard and Omer Asik (if the latter isn’t traded by then). 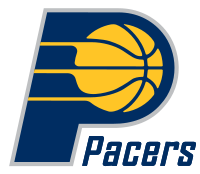 Should the Pacers get through the next three weeks mostly unscathed, they can feast on an East-heavy schedule from December 22 to January 18. Eight of the 12 games during that time are at home. Brooklyn and New York, two teams that could be better in a month, are on the schedule but for now are decimated by injuries. Awaiting Indiana after that, however, is a second five-game road trip out West from January 20 to 28. Let’s see how they finish their first.